Mizoram is a picturesque and beautiful town. But what makes it even more beautiful is the people who live there; those who are so trustworthy and genuine that even if you offer something to them for (almost) free, they won't take it. 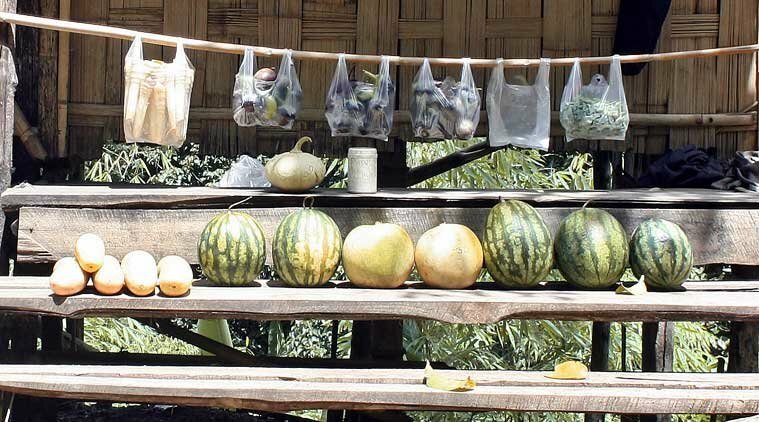 These huts displaying vegetables, fruits, small dried fish, and juice, alongside Mizoram's hillside roads prove just that. If you are wondering what's up with this shop, look at the picture again. Do you see any shopkeepers? There! These shops have no shopkeepers. Only rate cards, and a series of fresh veggies and fruits which are hung in small quantities in plastic bags. Customers, mostly travelers passing by, are expected to deposit money in a container which says " Pawisa Bawm” or “ Pawisa Dahna”. If need be, they can also pick up change from the same bag. It is a unique way to buy and sell, a novel kind of grassroots commerce, an indigenously developed small-scale agricultural marketing technique even. But more than anything else, it is an enduring symbol of honesty and trust, Adam Halliday writes in his report for Indian Express. “People are good. Nothing has ever been lost from our shop,” Pi Khumi tells Express. The family set up the shop two years ago and it has been going strong till date. With what began as a need for the family, has become a very interesting business model based on trust and honesty. This story was first published in Indian Express and written by Adam Halliday.